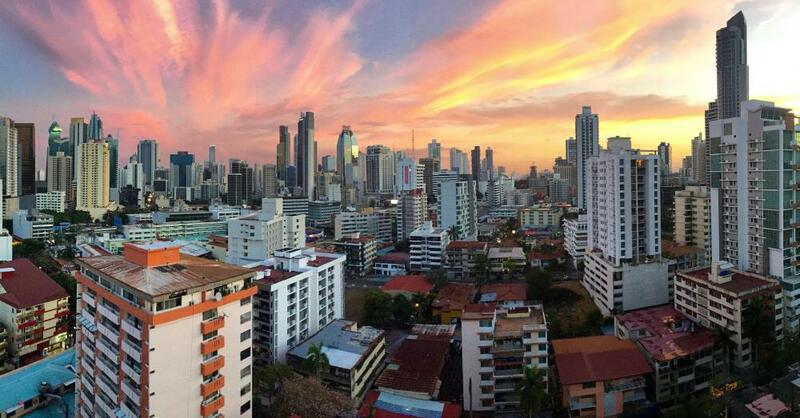 Want to get to know the real Panama City, Panama? I’ve worked to narrow down everything there is to do in Panama City to 21 of the must-dos. Don’t worry if you can’t get to them all! You can always come back. I’m kicking off the list with the most obvious must-do in Panama City: The Panama Canal. You just can’t leave here without seeing one of the most significant accomplishments in Panama’s history. If you want to skip the museum you can also go for dinner. Make a dinner reservation at the Atlantic & Pacific Co. restaurant (this is at the Miraflores locks, same place as the museum) and request to sit on the balcony so you can see the boats. Don’t go for lunch because it’s an overpriced buffet but the dinner is excellent, and entrees are $20-$25. 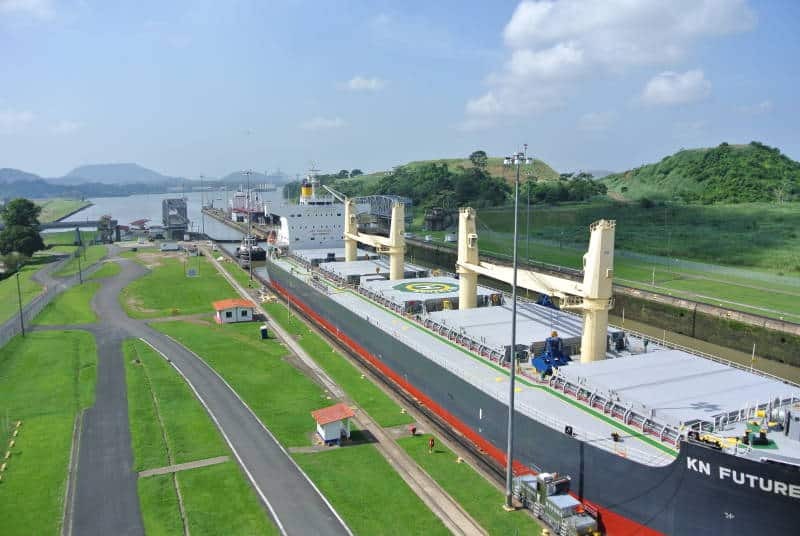 You can also read my post How To Properly Visit The Panama Canal for more ways to experience it. 1. It’s hidden in not the best area of town, so there are almost never any other tourists there and it makes for a way more local/memorable experience than going into a random gift shop. 2. Since this is in a gritty / non-touristy area, the prices are better, and you are usually dealing directly with the artisans themselves. The easiest way to get here is to take the Metro to the 5 de Mayo station (exit towards 3 de Noviembre) and then take a left. It’s located between a row of pink containers under the overpass. One of the best things I’ve figured out to do is you can buy a Mola made by one of the Guna’s there and then visit one of the tailoring stations in the same area and ask them to make a pillow out of it. Your total cost will be way less than buying a mola pillow from a souvenir shop. However you like to say or spell it – if there’s a soccer game going on while you are in Panama, you must go! I’m not a soccer fan, but I have so much fun going to the games in Panama. And be prepared to get wet! Panamanians traditionally throw their beer in the air when their team scores a goal. 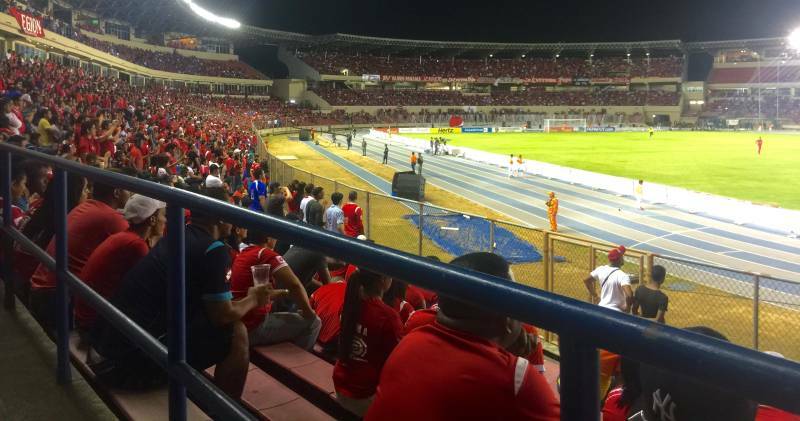 Check out my complete guide to going to a soccer game in Panama. 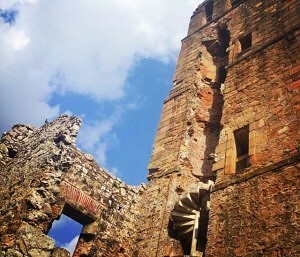 Panama Viejo is a UNESCO World Heritage Site and the first location of Panama City. It was abandoned in the mid-17th century and relocated to where Casco Viejo is located today. There’s one story that Captain Morgan burned down the city and another version where the Panamanians burned down the town before he arrived to make it look like it had already been taken over. 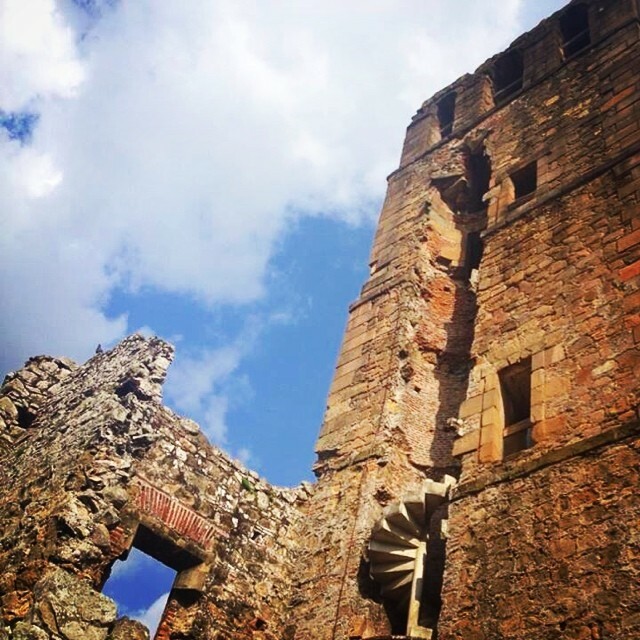 There is a $12 entrance fee to walk through the ruins and visit the museum. Casco Viejo (also called Casco Antiguo) is my favorite neighborhood in Panama City, and I recommend staying in this area if you can. 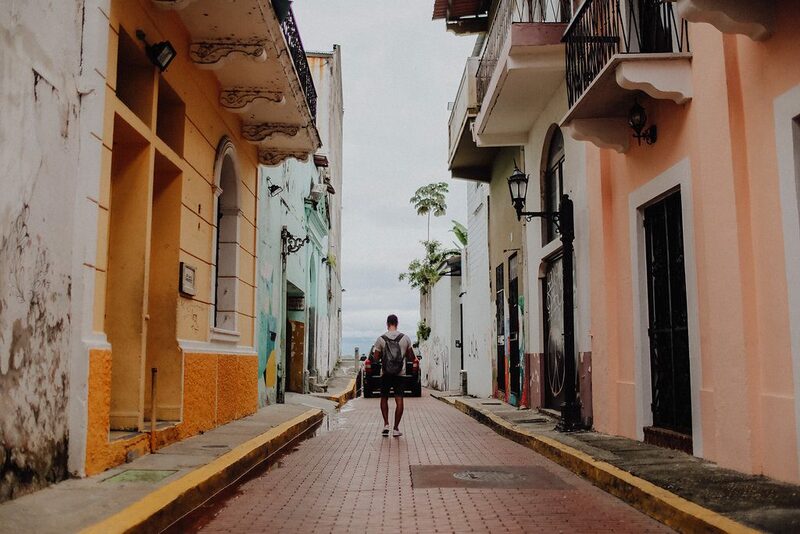 It’s a stark contrast from Panama City’s chaotic metropolis and instantly feels like you have traveled to a completely different world, even though it’s only a few minutes away. Casco is a mix of restored Spanish colonial buildings that are now boutique hotels & hostels, apartments, trendy bars, and restaurants. Interspersed between these are condemned buildings where a few local families live that proudly blast their music all day, with their windows and doors wide open, and a good view of what they are watching on their large flat screen TV. Simply strolling through the streets and taking in the scenes a great way to spend the day. While you’re here you can also do activities like take Spanish lessons, learn to dance Salsa, and of course, visit these historic sites. So this is a bit touristy, but it is a cool picture to get. 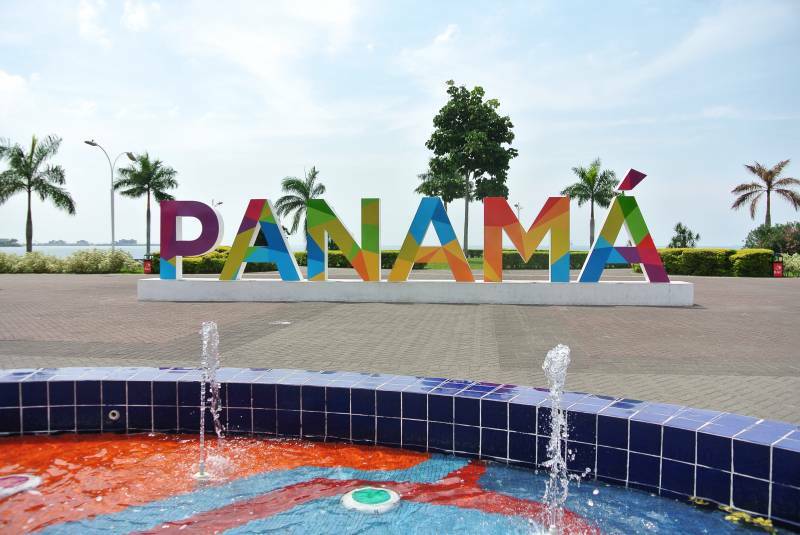 There are two places you can get a photo in front of the Panama sign: Cinta Costera or the Amador Causeway. Enjoy freshly caught seafood with the locals at Panama City’s fish market located along the Cinta Costera. Be sure to try the locally prepared ceviche! My personal favorite ceviche spot is La Bendicion, which has a brightly colored green stand. 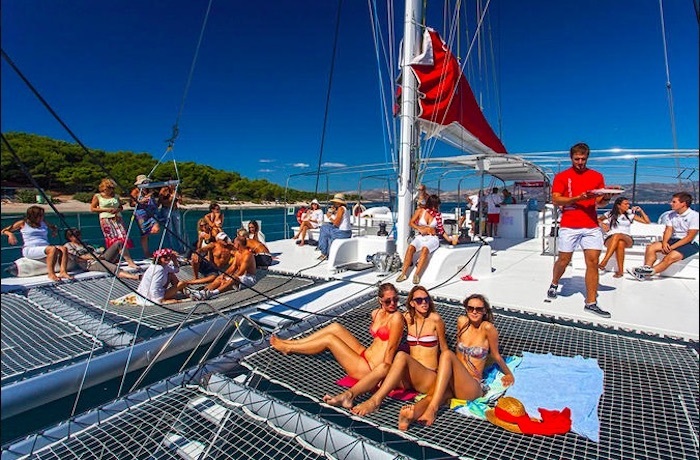 Hop aboard a catamaran and enjoy an open bar, music, and food as you make your way to Taboga Island, the closest island to the city! Sunbathe, lay down and enjoy the big deck with huge nets and speakers. Once the boat gets to the island you’ll have a chance to swim, snorkel, explore the island, or just hang out on the boat! The catamaran departs every Thursday, Saturday, and Sunday – RESERVE YOUR SPOT HERE. Panama City has an insanely beautiful long stretch of waterfront park called Cinta Costera where you can go running, biking, do yoga, use free workout equipment, play basketball, soccer, volleyball, tennis, ping pong, or just sit on a bench and people watch while enjoying a raspao. I recommend going after 5 pm because the heat can be intense! Ever wanted to see monkeys up close in the wild? Well, Panama has an island full of them! The Monkey Island and Indian Village Tour is one of the best values because you get to visit Monkey Island and the Embera Indigenous Community which is not offered by most guides. 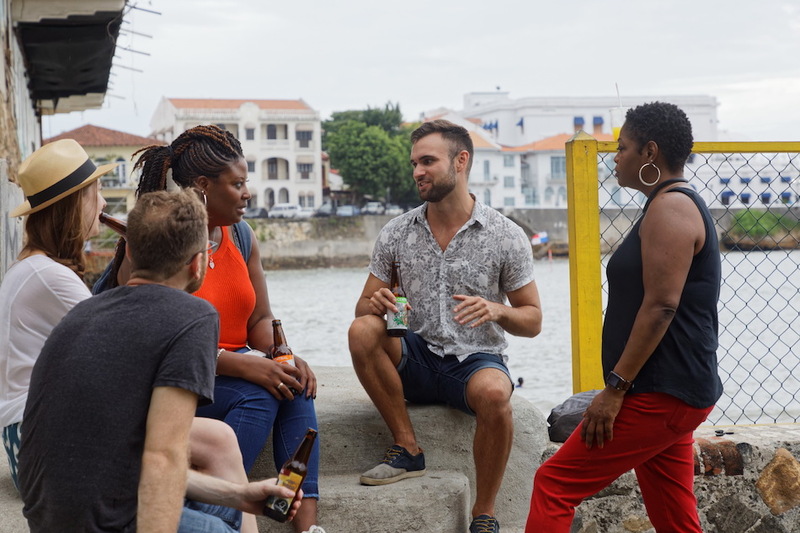 You’ll start with exploring Lake Gatun by boat where you’ll see local wildlife and monkeys and then head to the indigenous community where you’ll learn about the local culture, history, and crafts. Then, hike along a short trail to see the plants that grow in this area and how they use them (practical, artist or medical uses) and see a dance that is part of their customs. More info here. 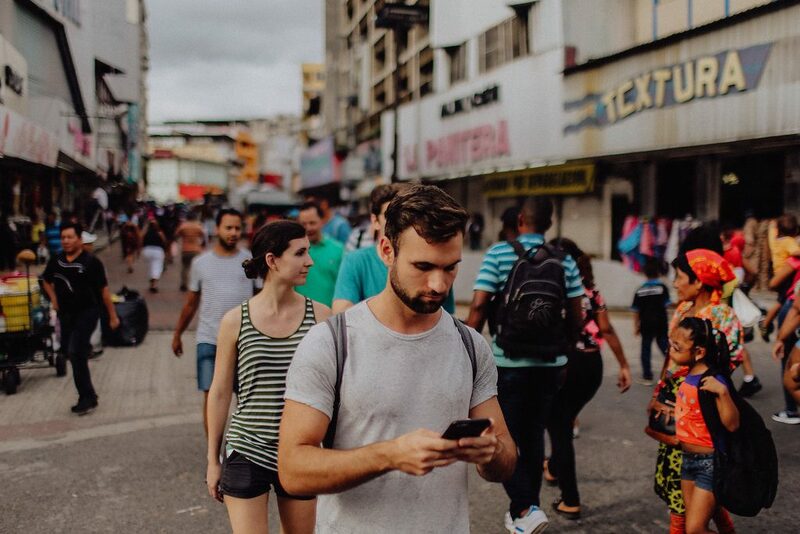 See where the real locals do shopping in Panama City’s only pedestrian district, Avenida Central. This part of town has seen better days, but it’s one of my favorite areas of the city for its vibrancy, street art, noise, and interesting people. It’s also easily accessible from Casco Viejo or the 5 de Mayo metro station. So these aren’t located in Panama City, but they are quick and easy escapes to paradise complete with white sand beaches and clear, turquoise water. San Blas: This is made up of over 300 rustic islands inhabited by Panama’s Guna natives. If you’re looking for that unique, once in a lifetime experience – this is where you need to go. 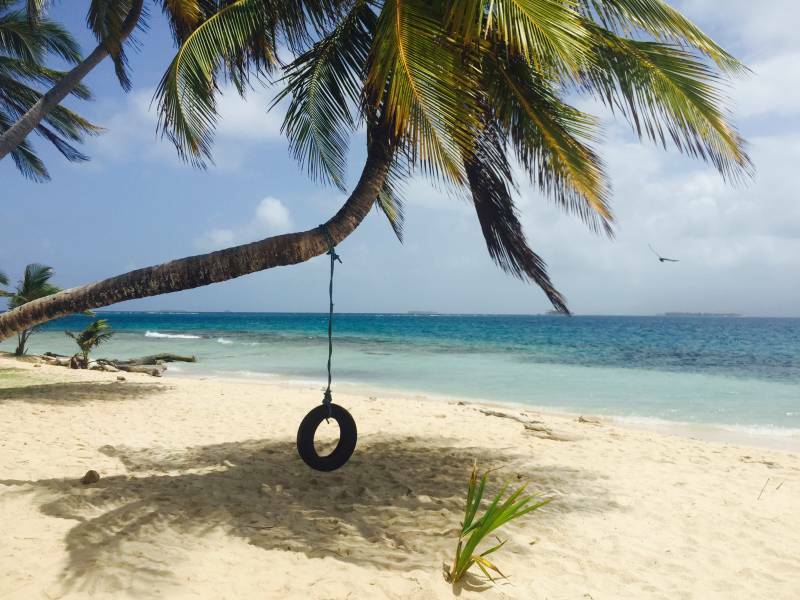 San Blas Dreams has an easy booking process and does a day tour there for $115 that includes transport from Panama City, island hopping, and lunch. There is also an entrance fee to Guna Yala of $20 for foreigners and $5 for Panama residents and a $2 port fee. 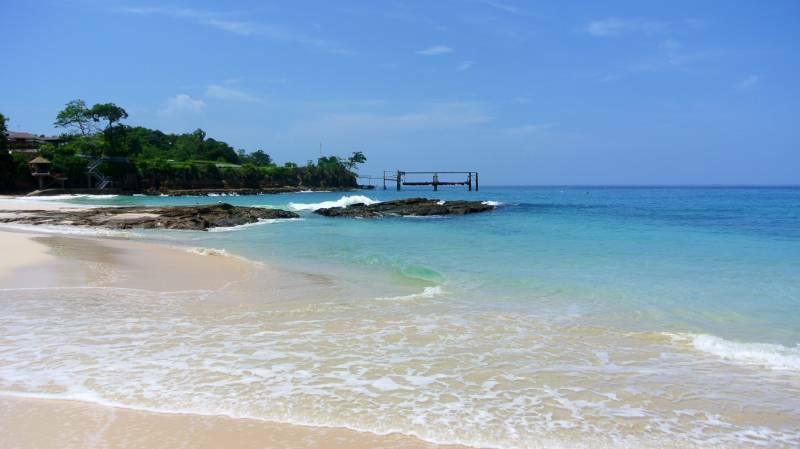 Contadora: If roughing it on a deserted island isn’t for you, then I recommend staying a night on Isla Contadora in the archipelago of Panama’s Pearl Islands. The island is a 1.5 ferry ride or 15-minute flight from Panama City and has stunning beaches, hotels, and restaurants. It is a bit pricey to get to and will run you between $90 – $100. You can arrive by ferry using Sea Las Perlas or Ferry Las Perlas or fly using Air Panama. Also, subscribe to Oferta Simple because they constantly have deals for half off ferry service. Not a beach person? Head to Panama’s nearby highlands in El Valle de Anton for cooler temperatures, beautiful hikes, and pristine waterfalls. 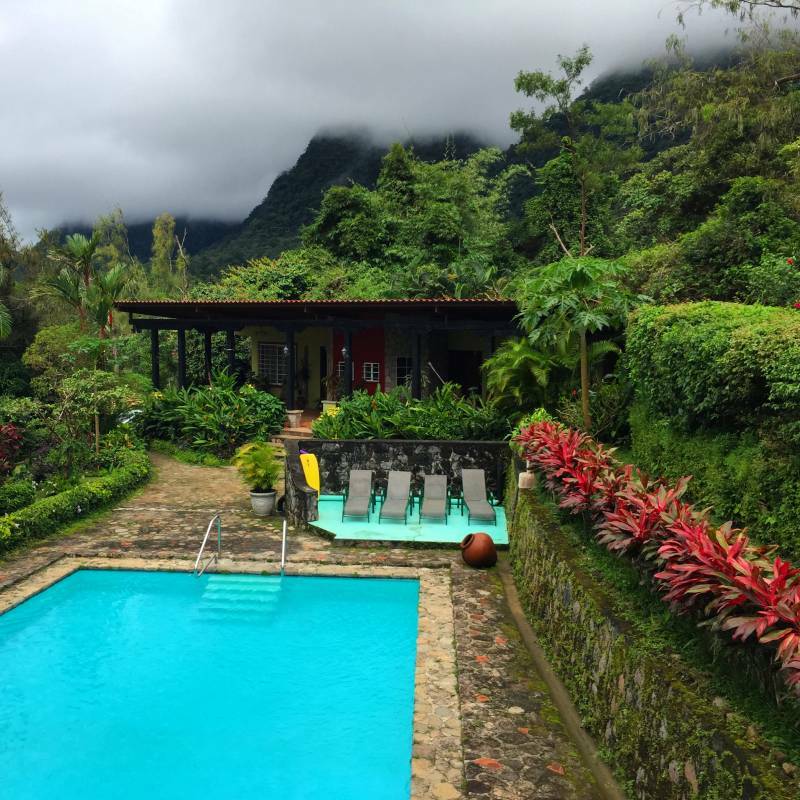 El Valle is easily accessible from Panama City for just $4.25 via a 2.5-hour bus ride that leaves every hour. For tips on everything to do and see in El Valle, check out my Quick Guide to El Valle de Anton. 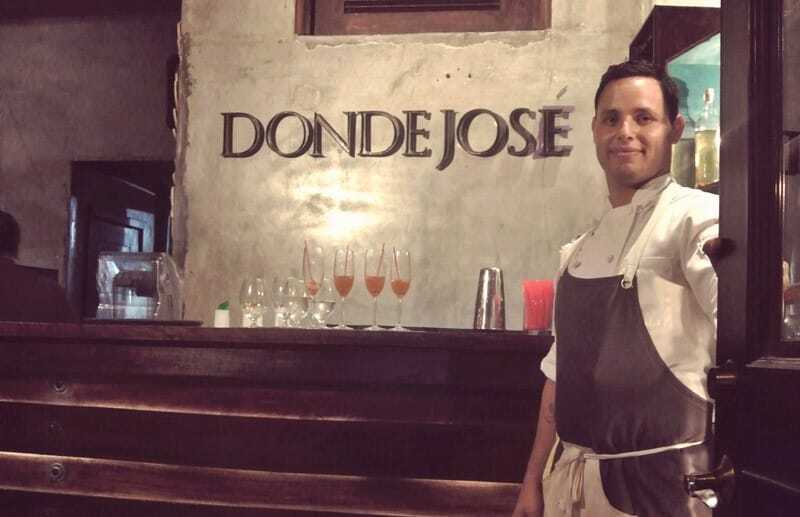 Donde José provides one of the most unique culinary experiences you can have in Panama City with an intimate maximum 16-person seating per meal. They focus on using local Panamanian ingredients and dishes and come out with a new set menu every few months. Located in Casco Viejo on Avenida Central and Calle 11. Must make a reservation in advance. 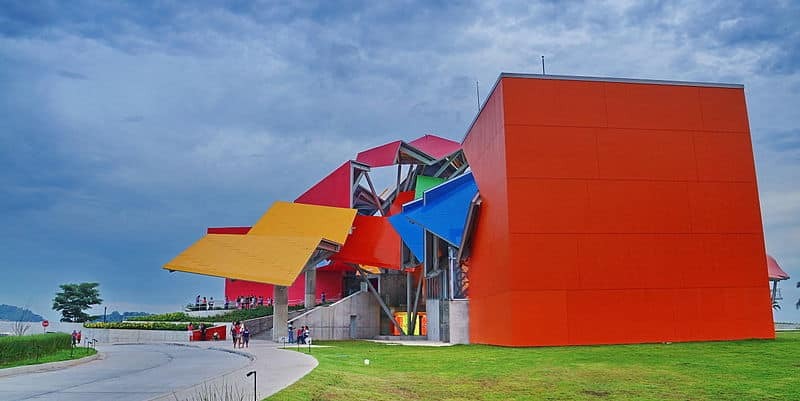 The newly opened Biomuseo, designed by world-renowned architect Frank Gehry, features eight galleries focussing on the origin of the Panamanian isthmus and its impact on the planet’s biodiversity. If you don’t want to pay the entrance fee, the funky design is definitely worth a photo. Geisha coffee is one of the most premium and expensive coffees in the world and can sell for up to $170 a pound. 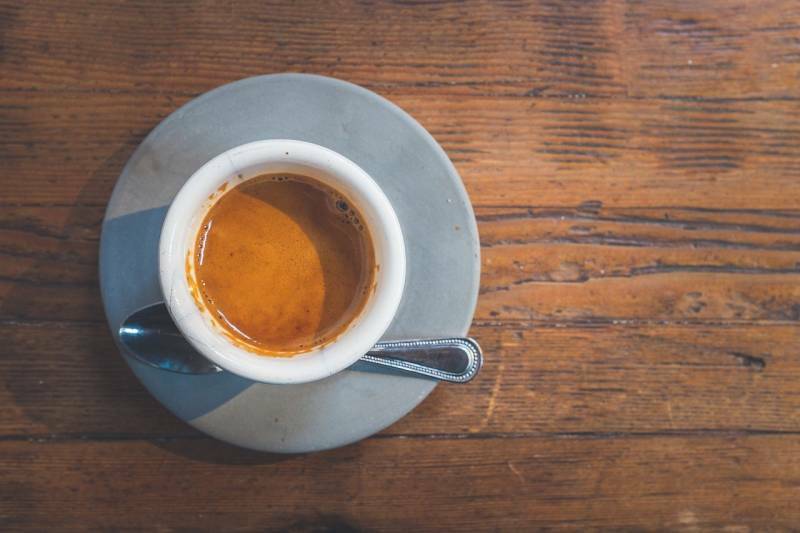 Panama is one of the top producers of this particular blend of coffee, and you have to try it while you are here. While in Casco Viejo you can try the $9 cup at Bajareque Coffee House or Cafe Unido. Located at the edge of Panama City lies a massive nature reserve that is perfect for hiking. You can usually spot some exotic animals, birds, plants, and I’ve even seen monkeys there before! 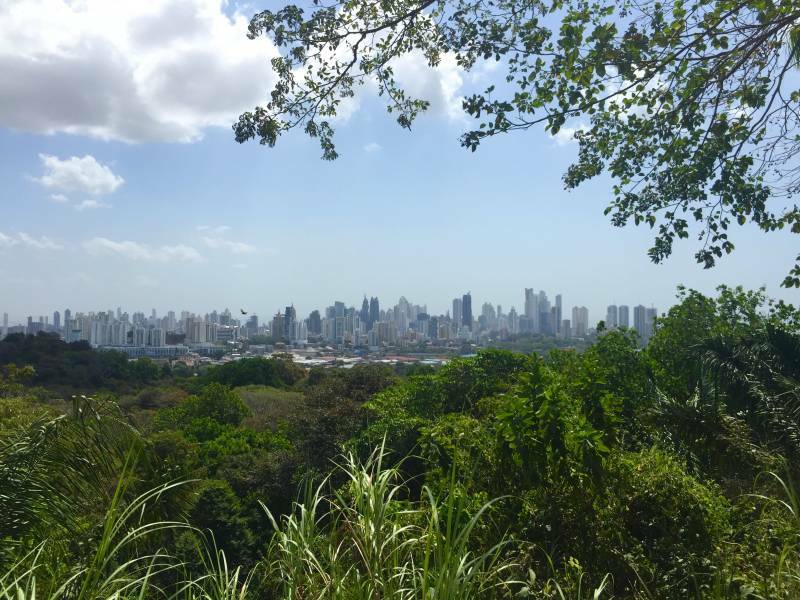 Either hike you choose provides a panoramic view of Panama City at the top. Panaviera is located on the 66th floor of the Sun Casino in JW Marriott and offers some of the most stunning city and ocean views I have seen in Panama City. Head up here by 6:30 pm to watch an incredible sunset over the city. You can’t leave Panama City without heading out and experiencing the nightlife! Most of the city’s best bars and “discos” are located in Casco Viejo, so this is a good spot to base yourself for a night out. 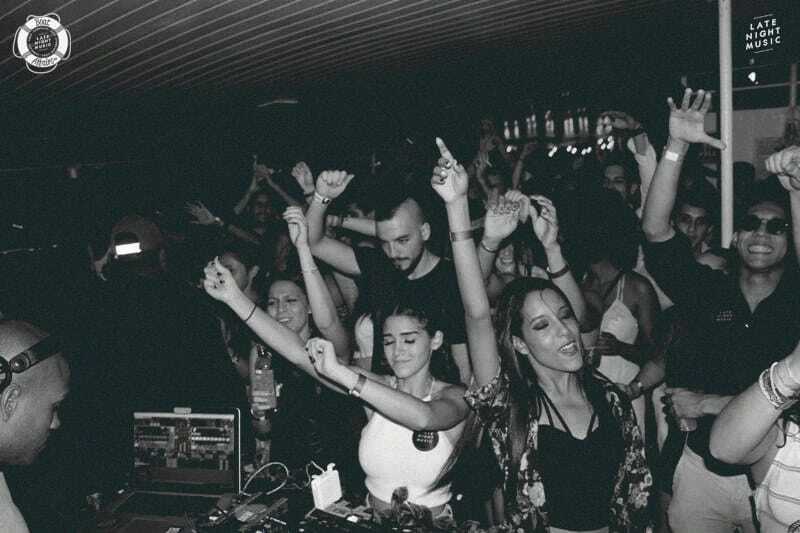 The Soy del Casco Night Pass is one of the most economical ways to bar hop this part of town. Pedro Mandinga is the type of place that I feel has successfully captured the essence of Panama. 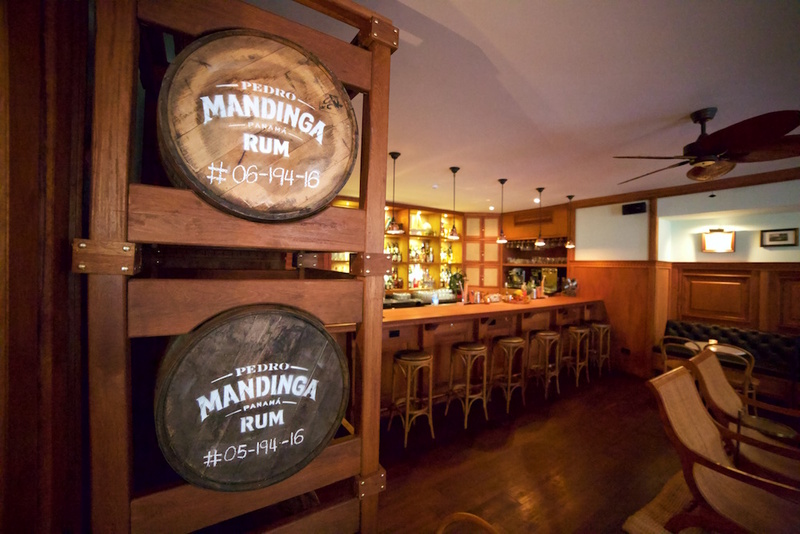 It is Panama’s first artisanal rum distillery and bar and situated in the heart of Casco Viejo near Plaza Herrera and across from the iconic Rolo de Sedas mami murals. It is the kind of place you can hang out for hours, sipping the amazing house specialty rum cocktails and losing track of time with old friends. 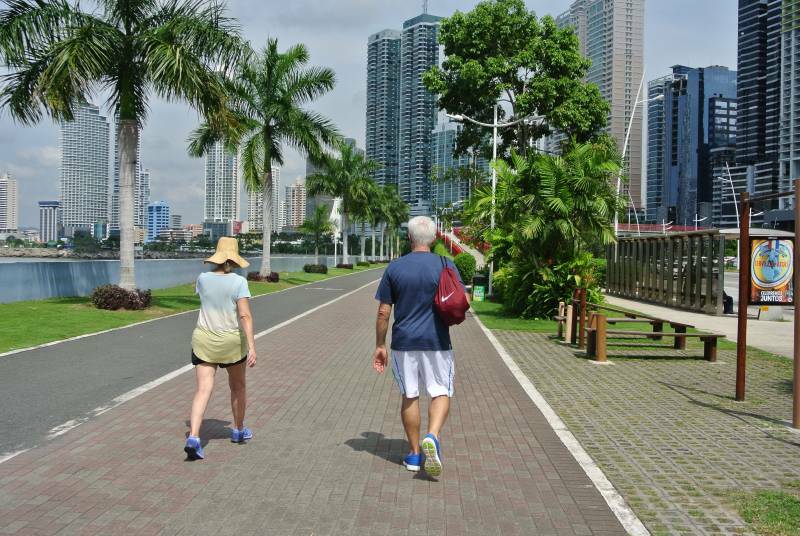 Discover the pulse of Panama City with me during a 5-hour personalized urban walking tour. 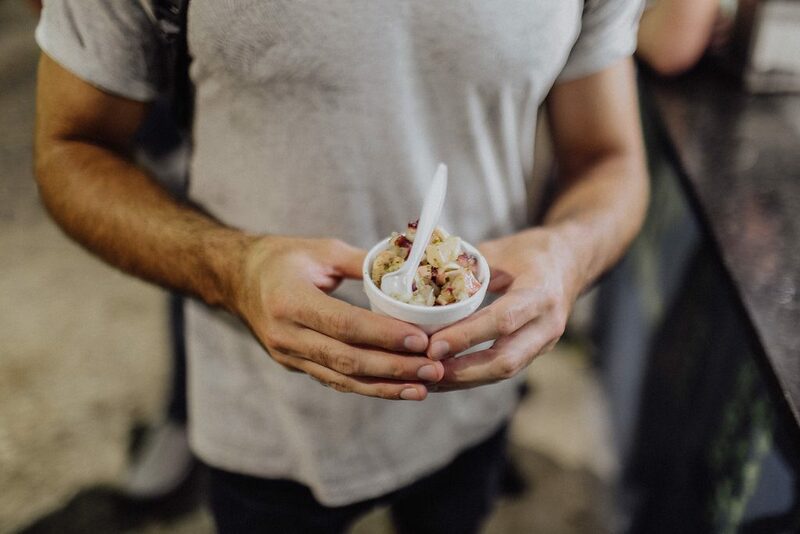 Visit the historic district & eclectic local neighborhoods while sampling flavorful dishes. Take in city views and back alleyways filled with street art, sample the world’s most expensive coffee, uncover the local craft beer & cocktail scene, hike in the rainforest, bargain at artisan markets, or be spontaneous and take on the day! Click here for more information. Nice information and I am extremely happy of the information you have provided. I am looking planning a trip to Panama in the new year. I was seeking information and advice on what to do and I have found more than I expected. Can’t wait to use this list – all but trump tower that is, you couldn’t pay me to set foot in a property belonging to that tragic waste of a human body. The rest sounds great though! Its an excellent blog my friend, It was really helpful. I’m from Mexico and I’m moving to Panama in a couple of days. Thanks for the tips. They just started tearing it down and the market has been temporarily moved to a new location a few blocks away (will update the post now). 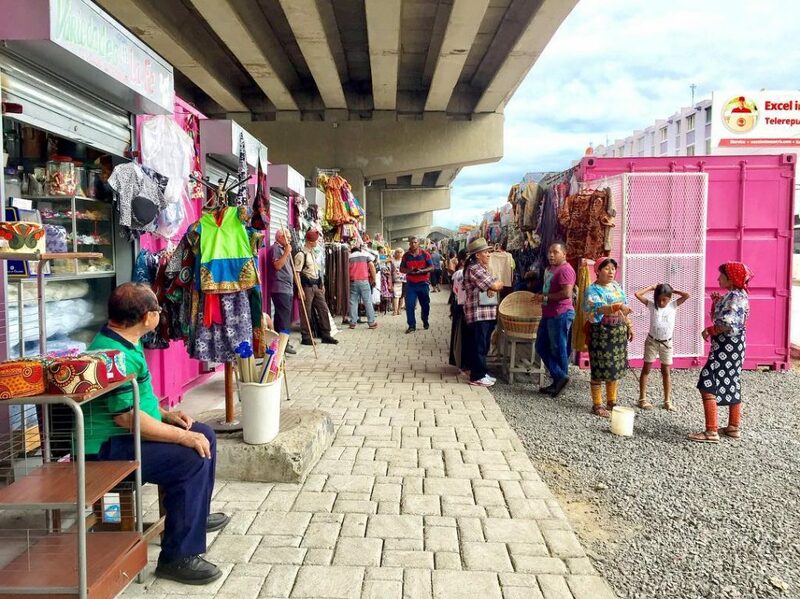 It’s inside the rows of pink containers under the overpass on Ave 3 de Nov, heading towards the fish market. If you have any trouble finding it just always ask a nearby local and they will point you in the right direction. Great information and I am extremely appreciative of the information you have provided. I am currently planning a trip to Panama as we speak to travel July18-24th , basically 8 days away. I was seeking information and advice on what to do and I have found more than I expected. Any advice on visiting the Embera Village as a solo traveler? All advice is welcome? Most of the thing you will see in panama now : Come from the culture sharing , at this point Panama got so many people from everywhere and been honest every single one from the whole world must have something to do here , that’s means now it is so common to see people from every where hanging out ,stereotypes been broken cuz by the time you realize where are you ,you already will know the joy and been honest this list most be the principles to accomplish pretty much indeed . You ‘re right. Panama is every year getting a lot of person from all AROUND the world. Not just American people, also European and Asian. They comming to do shopping, to visit the canal or to visit “Bocas del Toro” and San Blas. And with the new airport we will have more tourist that will be comming here. Fantastic post! We are heading to Panama for 1 day before a cruise in February, and this is quite a list! Thank you. Glad you were able to use the Metro a bit! I really don't recommend for tourists to use taxis anymore because of all the issues you just mentioned. Also give Uber a try next time you're here. It's extremely affordable and most of my rides within the city average $3. Thank you so very much for the tips on how to get around using the metro system. It is perfect! We got ripped off with taxi drivers, each charged a different fee from the same place to the same place. Not all are dishonest but we had 2 younger drivers that were, one of them dared to charge us $10 for a 5 minute ride. The older or more mature drivers were great, helpful and friendly, charged us a decent fee less than $5 from to take us to and from the very same spot. In addition, we took a taxi from about 15 minutes distance and he only charged us $4. Next time we go, it will be Metro all the way. Love Panama. .. lived there for a year! Que bien sobri, muy interesante, lo voy a copiar a mi pagina para mis amistades. You can go for a dinner cruise around Panama or a day trip or weekend to the Pearl Islands to cruise, fish or to observe whales. And experience the carnaval in Las Tablas. Hiking the Cerro Ancon (ancon hill) it is a must too!